Amy Andelson and Emily Meyer became friends in middle school, trading books and CDs. After college the two both became assistants in Hollywood. People kept tossing them “teen” scripts to read, but a lot the material didn’t ring true, so Amy and Emily decided to try writing their own screenplay. Their first script was a contemporary adaptation of The Great Gatsby set in high school that sold to Sony. After 10 years of working together on movies and TV shows, Amy and Emily decided it was time to stretch beyond screenwriting. The natural leap, they decided, was writing for young adults, and Layover, their first YA novel was born. 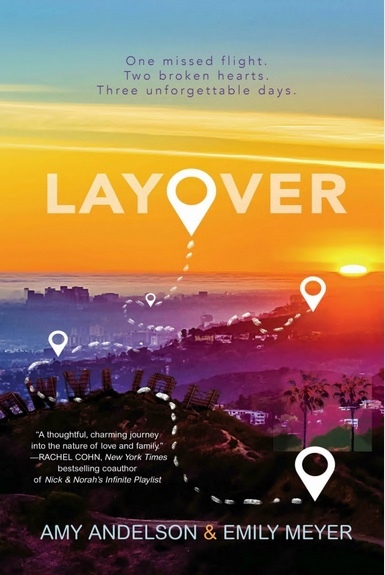 Layover is road trip romance that begins with an unplanned flight layover in L.A. and turns into a wild adventure. The book features Flynn and her step-siblings Amos and Poppy. Amy and Emily’s book is told from the siblings’ alternating points of view. Flynn and Amos are both teens, but Poppy is still a child. The authors debated a lot about including a younger voice but ultimately heard her voice so clearly they had to include her. Flynn, Amos and Poppy come from a life of privilege, and their layover is a direct result of their upbringing. That shouldn’t deter readers, Amy and Emily said. Amy and Emily began writing Layover on a whim. Almost like a writing exercise, they would alternate turns adding to the story. “When we’d receive each other’s pages, we’d happily surprised at how much it felt that these were characters we had always known,” they said. 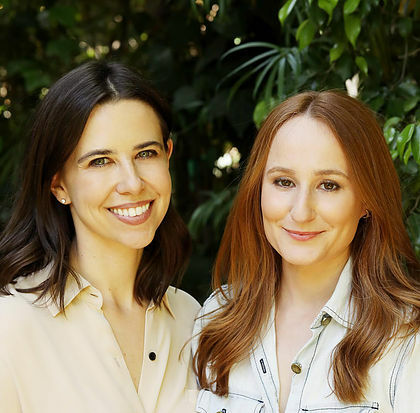 Learn more about Amy Andelson and Emily Meyer by reading the complete transcript of their interview with Cracking the Cover.